The latest news and musings of Austin in his search for the next great story. As everyone is in way too much of a hurry these days, everyone will be required to mosey between the hours of 11 a.m. and 1 p.m. as well as from 6 p.m. to 6 a.m. That gives you 10 hours to hurry, which I might point out is counter-productive, but I understand that old habits are hard to break. Meandering is an acceptable alternative to moseying. This will be illegal when I’m in charge. 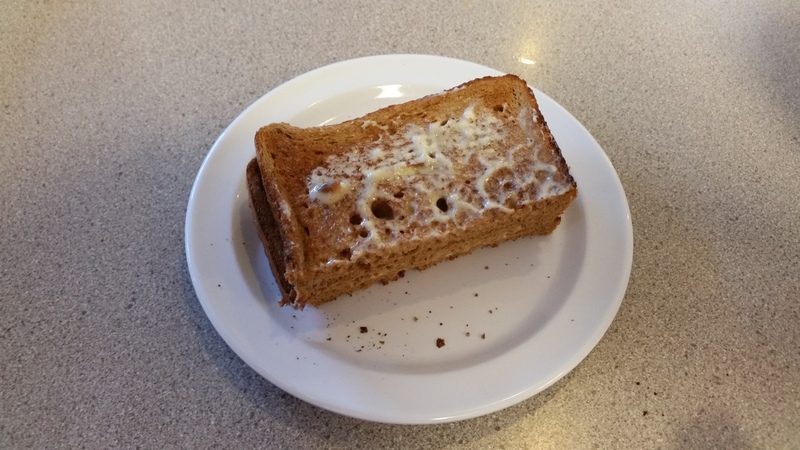 All toast must be cut into triangles and not rectangles. It just tastes better that way. Period. Clearly, too many restaurants do not understand this, and so the Triangle Toast law will go on the books. How you cut your toast in the privacy of your own home, however, is none of the Emperor’s business, even if you do it wrong. Ever go to a sporting event and hear some patron of the game yell, “My grandmother could hit that pitch!” (or whatever the sport and whatever it is that any given grandma could do better?) Hence forth, from the start of my Emperoring, anyone who yells such a thing will have to immediately produce his grandmother, who will then have to complete the “offending” player’s at-bat. This will benefit society in two ways: First, perhaps these people will learn that we might want to go easy on judging other people’s failures, and second, Grandma will make an appearance in a professional game and that is pretty cool. Finally, if you send your parents a cryptic text or instant message; or if you suggest in your Facebook status that some undescribed tragedy has befallen you and you do not immediately provide the details to the people who love you, you will be arrested. You will be arrested and returned to junior high school where you will be given a second chance to grow up, because that childish nonsense has to stop. I am sure that there are other decrees that will improve our lives that I have overlooked; therefore, please feel free to suggest them to me, your Emperor-To-Be. You know the guy that records a baseball game from the West Coast in July and doesn't watch it until January just to see baseball in the winter? That's me. I'm a writer always in search of a good story, baseball or otherwise. This entry was posted in Life is Interesting and tagged cryptic texts, how to cut toast, idiots who don't understand "yield", Idiots who yell at ballgames, mosey, we hurry too much, when I'm Emperor. Bookmark the permalink. I believe I could function quite well in your kingdom. At this time I cannot think of any other necessary laws or decrees. I particularly am intrigued by the howitzer “teachable moment “; I believe you put a lot of thought into that decree. Absolutely, Vonnie. Teaching people’s not to be idiots is a never-ending task. Thanks for commenting! Get the latest post sent directly to your e-mail! Follow me! I amuse myself with my Tweets; you may as well be amused, too. Ambitious Enterprises Ally Peltier is an excellent editor/consultant for your writers looking for professional guidance. David Stinson's author blog Please visit my buddy and fellow author David Stinson’s site. He has a real eye for baseball’s past; in fact, he sees it! History: Preserved This is a wonderful blog that often covers the home front during World War II, especially the recipes that were used to compensate for rationing. i had the privilege of meeting the author, Sarah Lee, at the 2017 WIlliamsport World War II Weekend. Off the Beaten Basepaths & other videos OTBB takes you to baseball treasures that are little known, underappreciated, or simply off the beaten basepaths! Subscribe now through Youtube so you don’t miss an episode. Sarah Sundin Sarah is a World War II romance novelist who gets her history correct! Lots of good information on her blog. Seamheads Best baseball blog on the ‘Net! Winchester Book Gallery A wonderful independent book store that is a fun place to shop in the Old Town Mall in Winchester. Christine and her staff are just plain nice people! Your Little Windmill My younger daughter, Sarah, has started a blog about her journey through love and Life. Well-written and insightful, and I’m saying that as a writer and not as her dad.